Appel Insurance Advisors Hires Newberg for Business Development in Mass. FM Global Appoints VP, Manager of Global Services in R.I. Advocates Push for Driver’s Licenses for Illegal Immigrants in Mass. 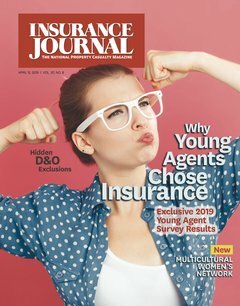 Munich Re to Buy Hartford Steam Boiler Unit’s Headquarters Building in Conn.
AIG’s Benmosche Receives Leadership Award From St. John’s University in N.Y.
USI Insurance Services Acquires Oscar & Associates in N.J.
New Day Underwriting Managers Appoints Account Manager in N.J.
OceanPoint Insurance Agency Acquires Raymond Insurance in R.I.